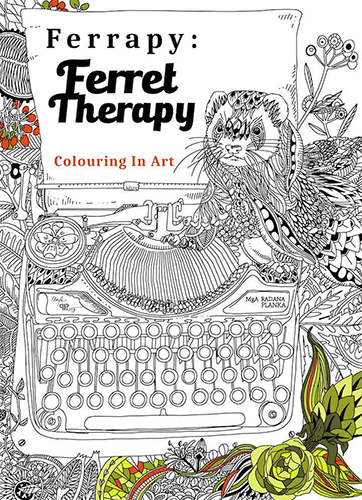 Get lost in a magically intricate world of flowers, forest plants, patterns and gorgeous ferrets, in this wonderfully creative ‘Ferrapy: Ferret Therapy, colouring in art’ ebook created by a masterfully skilled Czech artist, Radana Planka. 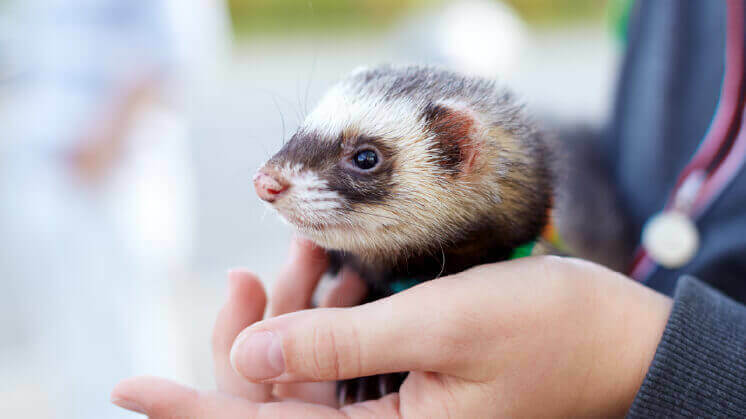 Radana has managed to perfectly capture the essence of the ferret and showcases the beauty of this magnificent creature. 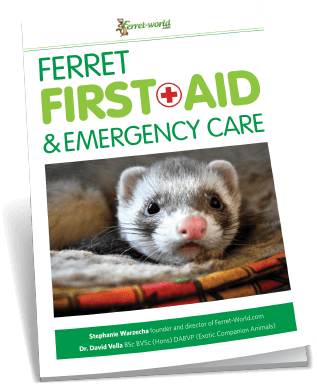 In some of the images she has also managed to capture the love us humans feel for these wonderful, fluffy, wriggly and very cheeky creatures. When is the last time you felt like a child? Or felt a sense of release from your own creative expression? When’s the last time your mind concentrated on only one thing and you lost yourself in a world of creativity and joy? 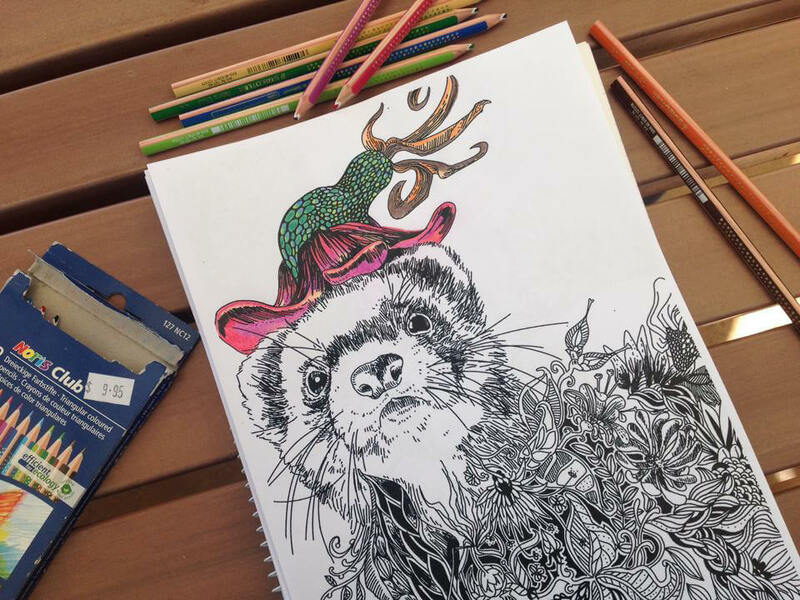 Colouring in has been scientifically proven to ease stress and anxiety, relax the mind and give the colouring in artist a sense of fulfilment. It’s a great way to relax, decompress and touch base with your child-like creative side. 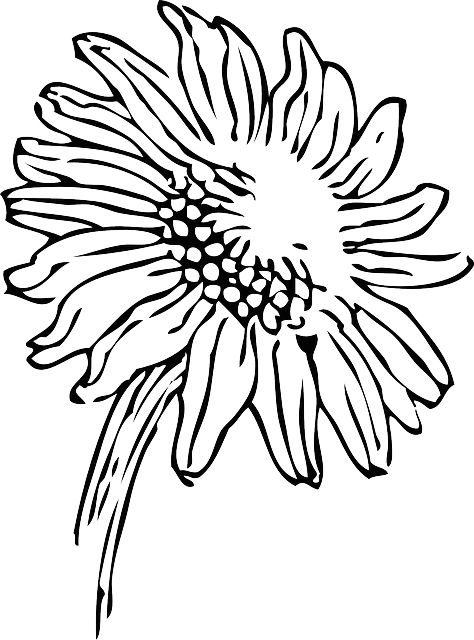 It comes in the form of a downloadable ebook which allows you to print out the same pages over and over again to bring the black and white drawings to life in a variety of different ways. It also means that anyone from anywhere in the world can download it and start creating beautiful art.